Baby Tula Explore Review – Best Forward Facing Baby Carrier? Baby Tula brand has been on the market for few years now, offering high-quality ergonomic carriers. Tula Explore Baby Carrier is the newest model in their collection and it’s the first Baby Tula forward facing carrier! Are you curious about its features? Read my Baby Tula Explore review and find out whether this carrier is the right choice for you and your little one. 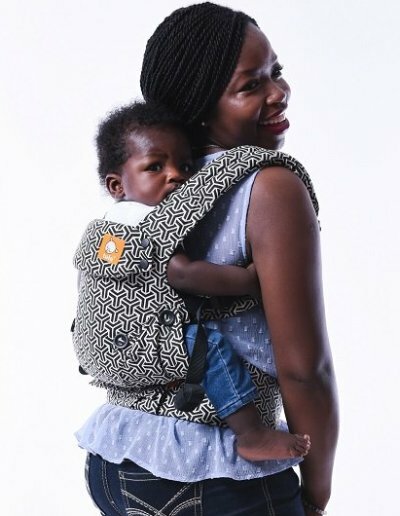 “Intuitive and easy to set up carrier”, “Fabric is soft and attractive”, “My little one enjoys riding facing out and watching the World”, “This is the only carrier you will ever need”, “We love our Tula Explore and wish we got it earlier!” – this is how parents usually describe Baby Tula Explore. Although this carrier has arrived on the market not too long ago, it has become very popular and parents quickly have fallen in love with it. What’s so special about Baby Tula Explore? What features parents love the most? Are there any drawbacks to keep in mind? Keep reading and you’ll find out everything! What Parents Think About Baby Tula Explore Carrier? Baby Tula Explore is brand’s most versatile carrier. It offers three different carrying positions – depending on baby’s development stage and mood, and of course your preferences. You can start using Baby Tula Explore from birth, if your baby weighs at least 7 lbs. During the first few months (about 6) you can use only front carry inward facing position. I know that Explore is quite expensive carrier. I recommend you to visit Baby Tula Amazon website and see if there are any discounts available right now. You can be sure this baby carrier is safe for newborns, as it provides most natural and ergonomic position – frog position. In Explore carrier your baby’s legs are in M-like shape and the back is naturally curved. This carrier doesn’t force infant to straighten his legs and back too early. You can adjust the sitting area width as the baby grows so the panel always provides knee-to-knee support. There are 3 width settings – from 5 to 15 inches, so you could find comfortable position for a newborn, infant and toddler. Thanks to that baby’s hips and spine can develop naturally. What’s also noteworthy is that Baby Tula Explore is on the list of hip healthy products, created by International Hip Dysplasia Institute. If you haven’t heard about it yet, I recommend you to visit their website as they post lots of useful information about baby’s hip development. You can also check my article about how to use baby carriers in a safe way. As I said, Baby Tula Explore is suitable for newborn babies and thanks to ergonomic position it helps to protect baby’s hips from dysplasia. When the baby has good neck and head control and can sit upright unassisted (usually around 6-9 months) you can start using back carry position. Baby’s love being carried on parent’s back! As babies get older, they become more interested about the World and surroundings. In this position they can observe more and it’s simply more funny for them. Keep in mind that this position is safe only for kids who can sit upright, don’t use it too early! Baby Tula Explore is brand’s first carrier that offers also forward facing position. Generally speaking I’m not a fan of this position (you can read more in this article) and many carriers that offer this position are neither safe nor comfortable for the child. But not Baby Tula Exlore. 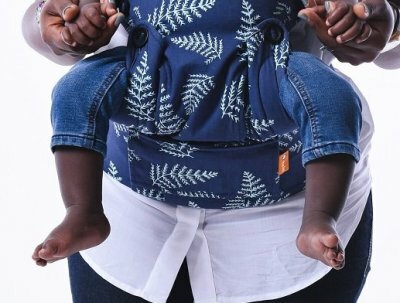 This carrier makes forward facing position more ergonomic and comfy for the baby (baby’s legs don’t hang and it puts less pressure on baby’s crotch). If you’re looking for the best forward facing baby carrier, you need to choose carefully, to prevent your little one from getting hurt. That’s why I recommend you this model. On Baby Tula website you can also find some tips on how to make facing out position more safe. The brand recommends using this position only for babies who weigh 13-22 lbs and only for short periods. The seat area should be adjusted in the widest setting. More in the video below. Facing out position is suitable only for child who has good neck control. You should often check on your baby whether his chin is off his chest and watch for signs of over-stimulation. Also, keep in mind that forward facing position is not suitable for naps – if you notice that your baby is sleepy, change the position for inward facing. Apart from the width-adjustable panel, there is also adjustable neck support pillow. You can change its height, depending on your baby’s size or when you want to give your little one more head support during the nap. Baby Tula Explore features rich padding so the baby feels comfy and cozy in it. The panel is extra padded in leg area so it doesn’t pinch baby’s skin. The neck pillow is also additionally padded to provide even better support. Lots of parents praise the soft material and deep padding. It’s a cozy place for soothing fussy and colicky baby, as well as very comfy for a nap on the go. The manufacturer didn’t forget about wearer’s comfort either. Explore carrier makes babywearing really comfortable for parents too. It has wide shoulder straps with extra padding, as well as wide waist belt that is fully padded so it doesn’t pinch wearer’s skin. All straps are highly-adjustable to fit both petite and plus-size moms (and dads!). The hip belt length adjusts from 27 to 57 inches. Thanks to multiple adjustments you can share this forward facing carrier with other caregivers and find most comfortable fit for your body type and size. Moreover, the shoulder straps and the waist belt are wide and allow for even baby’s weight distribution, so babywearing doesn’t strain your neck, shoulders or lower back. With Baby Tula Explore you’ll be able to carry your baby for longer periods without neck or hip pain. This carrier is also easy on mom’s pelvic area (which is very important especially during the postpartum). What I also like about Baby Tula Explore is that it comes with a removable hood that you can easily snap in to protect your little one from sun rays or when you need more privacy during nursing. What’s really great is that Tula made this hood bigger and adjustable to different lengths – so you can adjust it properly as your baby grows. The hood can be used in front carry inward facing position, as well as back carry. This high-quality forward facing baby carrier also features useful storage pocket on the waist belt. You can keep there a few small essentials like your ID, cash or baby’s teether. The pouch is located right in the middle of the waist belt to give you quick access to your stuff. Baby Tula Explore is made of 100% cotton. The material is breathable but it still may get a little hot during summer months. On a positive note, there is also Mesh Coast line for this model which allows for better air circulation and prevents from sweating. Good thing is that this front facing carrier is machine washable. So even if you have tendency to sweat a lot or your baby often spills, you’ll be able to get rid of the stains easily. Baby Tula brand is well-known of their beautiful and unique fashions and patterns. Explore carrier is no exception. Right now you can purchase Baby Tula Explore in multiple color versions, for example: Everblue, Sleepy Dust, Forever, Bloom, Discover, Fox Tail and Mint Chip. You can see some of them in the picture below. After checking online customer reviews, I can tell you one thing – parents love this carrier! Below you can find my summary of customer opinions, but I recommend you to check the reviews on Amazon on your own as well. First time parents praise its simplicity and easy & intuitive adjustments. It’s easy to set up and adjust to different body types – even for really short and skinny moms, as well as plus-size moms. Moreover, taking baby in and out of it is also very easy and quick. Parents also love having multiple positions. They are very happy with the forward facing position which is comfortable and entertaining for the baby. Very useful position for curious babies. Baby Tula Explore provides proper support for baby legs in every position, including facing-out, while many other carriers don’t. With this carrier you can be sure your baby is positioned in a healthy way. Switching between facing in and facing out is also very simple. Parents agree that baby feels secured and comfy in this carrier. They also love the fact they don’t need any inserts to fit a newborn baby in it. This baby carrier is also very comfortable to wear even for longer periods, without straining your neck and causing back or hip soreness! According to users the weight distribution is just great. And thanks to rich padding no buckles are digging in or pinching your skin. Besides, it’s very lightweight, yet the construction is solid and durable – but without being bulky. If you feel like babywearing is confusing or overwhelming, Tula Explore will make it much easier for you. If wraps are too complicated or get too hot for you, this soft structured carrier from Baby Tula will be a perfect choice. Another advantage of this new forward facing baby carrier is the amazingly soft, cushy fabric – it’s delicate for baby’s skin and doesn’t leave marks on baby’s thighs. Parents who live in hot climate (like in Nevada or Bangkok) confirm the material is breathable. Attractive, cute look is another asset. Lots of parents compliment gorgeous colors and patterns. 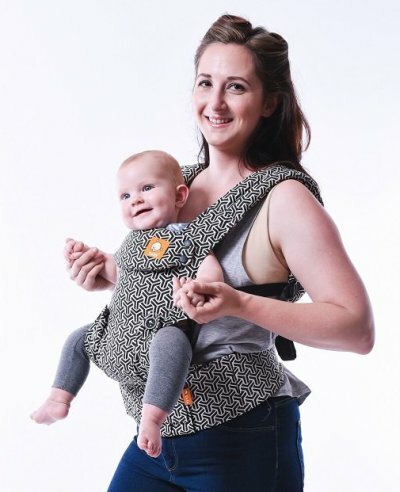 Parents agree the quality of forward facing Tula carrier is hard to beat. According to parents, Baby Tula Explore Carrier is perfect for moving around the house, running errands in the city, going to the grocery stores, long walks and airplane travels. Getting through airport is much easier with it. User recommend it not only for the first time parents, but also those who have more children to run after and basically every parent who wants to make their household chores easier. It’s also great solution for colicky baby who likes to be held and rocked. 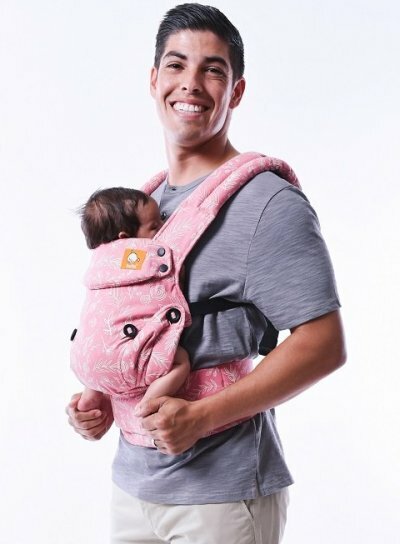 Another advantage, according to customer reviews on Baby Tula website is that this baby carrier is also perfect for dads and they love to wear it. One minor drawback that I found in customer reviews is that neck support pillow requires readjusting each time before placing the baby in the carrier (especially a newborn baby). Other thing that parents may complain about is the storage pocket which is rather small. It would be great if Explore had bigger pouch or even an additional one. Different closure, than the Velcro, would be also better. 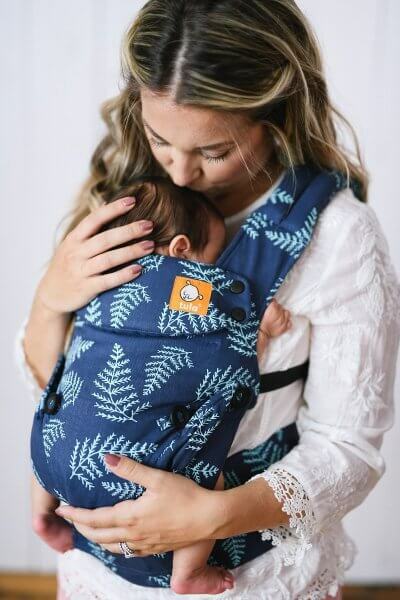 If you’re hesitating whether to choose Baby Tula Free-to-Grow or Explore Carrier, keep in mind that only the latter one allow you to carry your baby facing out. Besides, few parents, who have been using both carriers, mention that Explore is even softer and comfier to wear than Free-to-Grow! 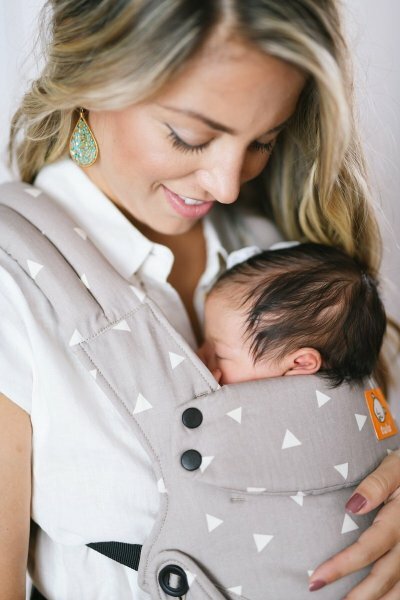 All in all, Baby Tula Explore, which is quite a new arrival on the market, has had dozens of satisfied users and parents agree it check all the boxes they had for a baby carrier. The quality, versatility and functionality is worth the money. No wonder that Explore all-in-one carrier is getting popular so quickly. Are you looking for the best carrier for 2019? Check my ranking with other fantastic baby carriers!